Investors in a nascent electric car company run by Democrat Terry McAuliffe threatened to withdraw financing due to what they called "bad faith" actions on the parts of the company and primary financiers, internal emails show. 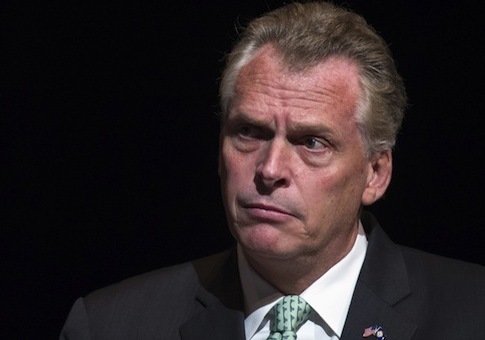 An attorney for McAuliffe’s car company, GreenTech Automotive, told a high-ranking official at the U.S. Customs and Immigration Service (USCIS) in July 2011 that a number of the company’s financial backers were threatening to withdraw their investments. According to an email between the two, those investors were unhappy with GreenTech and Gulf Coast Funds Management, a firm with ties to the Clinton family that helped GreenTech secure financing. The revelations could fuel criticism of McAuliffe for his role at the company, which has struggled financially and come under fire for its use of a visa program that critics say amounts to a "cash-for-visa" scheme and is prone to fraud. McAuliffe has distanced himself from the company, but his Republican opponent in the Virginia governor’s race, state attorney general Ken Cuccinelli, continues to hold up GreenTech as an example of McAuliffe’s spotty business career. Emails released by the Senate Judiciary Committee show that McAuliffe shared concerns with other GreenTech executives over a potential backlash from Chinese investors, who, as part of the Department of Homeland Security’s EB-5 program, awaited visas in exchange for their investments in GreenTech. Emails between GreenTech’s attorney and Alejandro Mayorkas, the director of USCIS, reveal that McAuliffe was concerned about legal action or a withdrawal of investment capital as a result of DHS’s inaction on GreenTech’s EB-5 visa applications. "I spoke with Terry last night and learned that we now have two investors who requested funds to be returned (over 1.1 million dollars)," the attorney told Mayorkas in an email revealed by Senate Judiciary Committee. "In addition we are expecting a mass exodus and possible suit due to what the immigration firms in china [sic], and our investors, perceive as some act of bad faith on GCFM/GTA’s part," the attorney added. 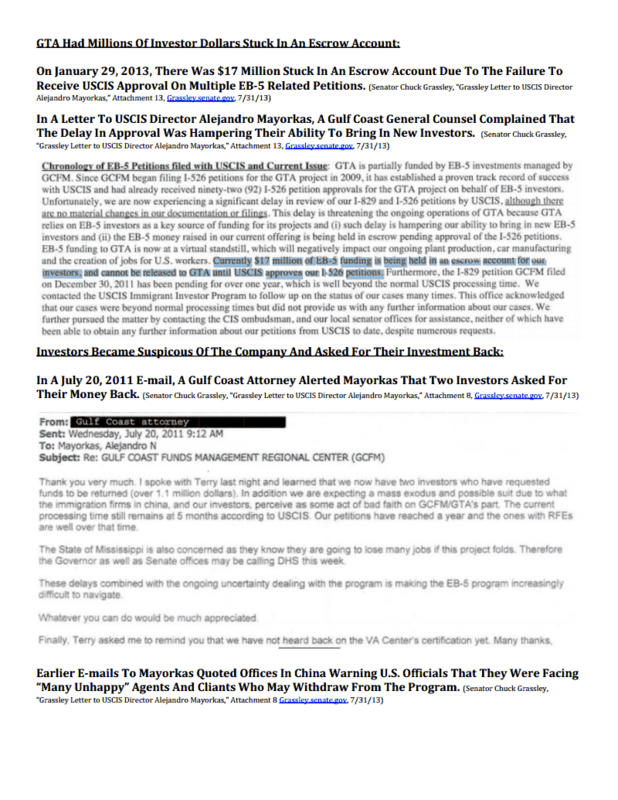 Emails show McAuliffe personally lobbied Homeland Security Secretary Janet Napolitano to "expedite adjudications of all EB-5 petitions for [GreenTech] investors." This entry was posted in National Security and tagged GreenTech, Terry McAuliffe. Bookmark the permalink.